The concert will provide a lively evening of some of the favourite pieces of the performers, providing a range of music and song. Wine and nibbles will ensure a sociable and enjoyable evening for all. 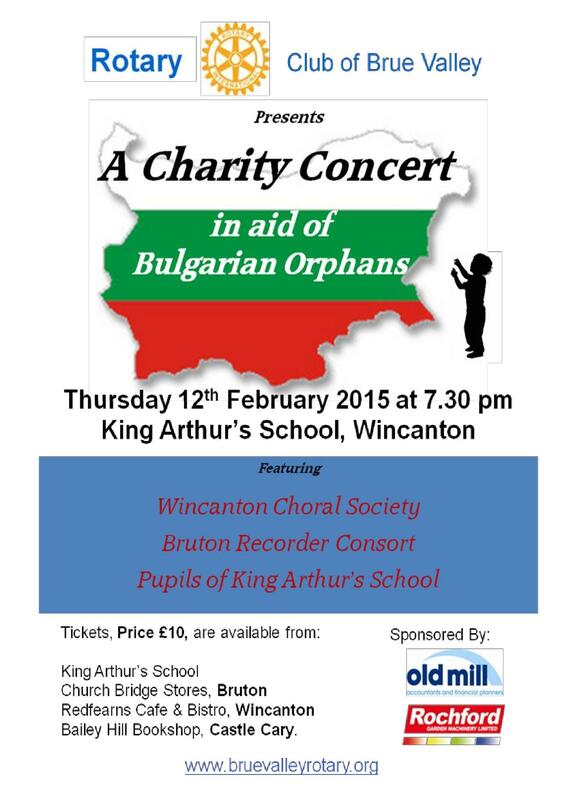 Tickets are £10 each and can be ordered in advance, online at www.netaticket.co.uk or from King Arthur’s School, the Bruton Recorder Consort, the Wincanton Choral Society, Redfearns Cafe and Bistro in Wincanton, Church Bridge Stores in Bruton and Bailey Hill Bookshop in Castle Cary. Further information is available on the Brue Valley Rotary Club website http://www.bruevalleyrotary.org or contact Andrew Davies on 07968 380101.